What if I know an abuser? - B.R.A.V.E. Talking to a friend who is abusive can be so hard. Helping a victim is one thing, pointing out a friends abusive behavior is another. How can you tell a friend they are treating a partner badly? Awkward! But so important. We can all think of many reasons why we should just stay quiet, we start to make excuses for their behavior, we say it is none of our business, we don't want to lose a friend, and many other excuses. But, is that being a good friend? Is that being a good human being? Doesn't your friend need to know? Don't they deserve a healthy relationship? Do you want them to end up in jail? What about their partner? Don't they deserve better? Everyone has different definitions of love, but none should include abuse. Your friend may not know this. It will be a difficult conversation to start, but it can be life changing. They may not want to hear about it at first, but they need to hear it. They will most likely deny that what they are doing is wrong, they will blame their partner for what happens. They honestly don't think they are wrong. Try to show them examples of what you have seen that are abusive. And show them the right way to handle the situation. DO: Urge them to seek help. They can talk to a counselor, a coach, a member of the clergy, any trusted adult—even an older brother or mentor. DO: Offer to get information for your friend. DON’T: Make them feel ashamed of themselves. You care about your friend, and you want their behavior to change. If you didn’t think they had it in them to be a decent person, you probably wouldn’t be hanging out with them. As hard as it may be for you, do not support the abuse in any way. 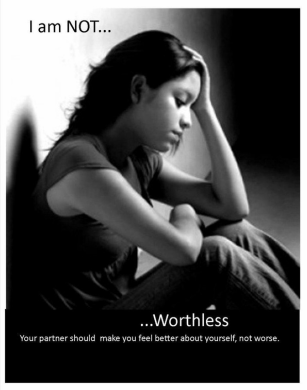 You’re not turning against your loved one - you’re helping them establish a healthy relationship.